Every now and then we visit eBay to see out-of-this-world lot descriptions. Here are two that recently caught our eye. Click to expand screenshots below and read the description and our response. 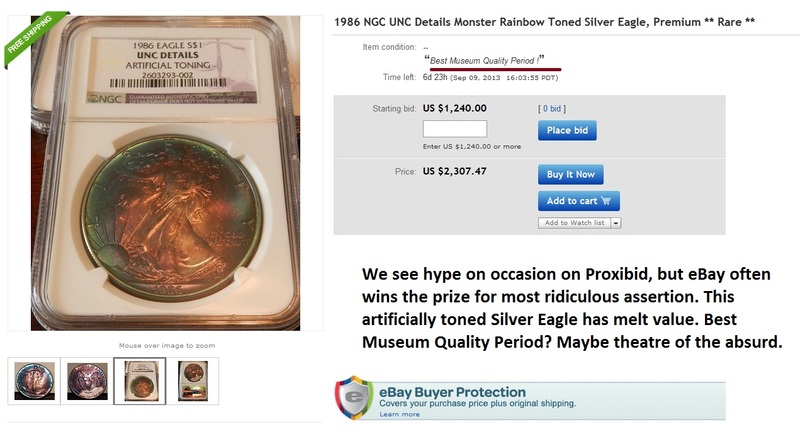 This entry was posted in Uncategorized and tagged American Numismatic Association, Auctioneers, AuctionZip, Best Practices, Coin Auction, eBay, iCollector, National Auctioneer Association, Proxibid, Proxiblog. Bookmark the permalink. 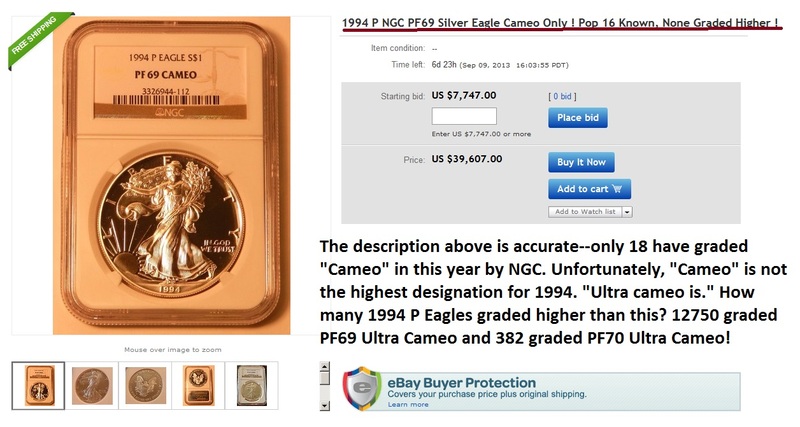 I can’t speak for the seller’s motivation, but the extremely high starting bids for these would keep the most naive buyers away and anyone with even minimal knowledge would know that this is basically worthless junk. OTOH, eBay is full of sellers super-hyping junk at much lower price and snagging less informed buyers. Thank you for your comment. I hope our viewers read your response carefully. You’re on target with the much lower price junk.